I was the proudest of papas. 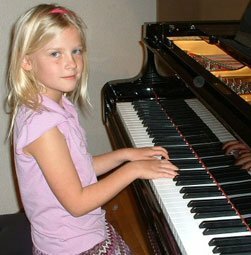 Check out my eldest child, 8 yr. old Claire at her piano recital. I was proud; rediculously proud. Being a parent is fun. See more about my family. Hear her play GRAND OL FLAG below! What this has to do with Humor in the workplace? Nothin’…. but it sure made me laugh. https://www.bradmontgomery.com/wp-content/uploads/2018/11/logo-1-495x198-1-300x120.png 0 0 admin https://www.bradmontgomery.com/wp-content/uploads/2018/11/logo-1-495x198-1-300x120.png admin2006-01-09 11:04:502006-01-09 11:04:50Music is (not) funny? Loved the clip of Claire playing “Grand Old Flag” on the piano. Claire is talented, attractive, witty, and intelligent. Clearly she takes after her mother (phew!). Well, clearly, this child is a genius. Pretty is good, but smart and talented is better. Lucky for her she’s all three! Laugh? Nope… cry! Kids are Geniuses!